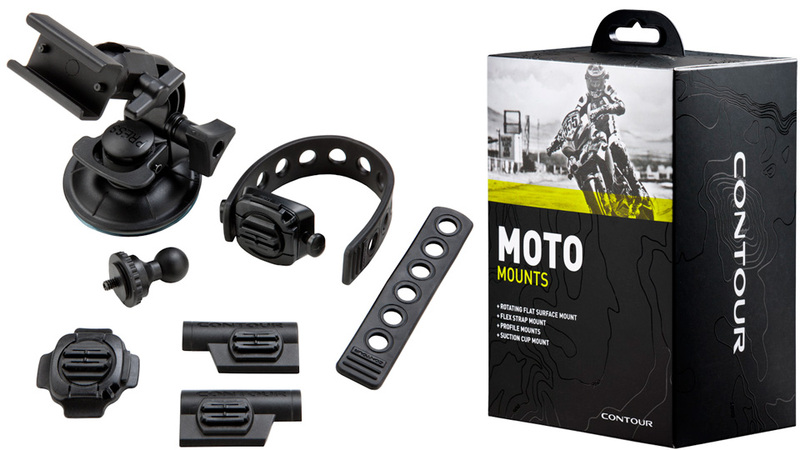 Bullitt's famous car chase sequence through the streets of San Francisco is fun to watch, but it would be even more fun to re-create now that Contour has announced a new Moto Mounts kit for capturing your extreme, but reasonably safe and responsible vehicular exploits. Designed for use with the company's Contour line of cameras, the kit includes a large suction cup mount allowing you to attach it to your vehicle's windshield, body panels or other smooth surfaces not covered in mud and grime. So you can capture either a first-person view from the driver's perspective, or an edgy low-angle shot of the vehicle's tyres as it slides through corners. And if you can't find a smooth surface large enough for the suction cup, the Moto Mounts kit also includes a flexible rubber strap that can be wrapped around rollbars, handlebars, or other thin structures that you're sure are going to remain firmly attached to your vehicle once the ride gets bumpy. So while it's definitely an excuse to finally sign up for that demolition derby, you'll want to be careful about where you use them. Safety first.